I have been eating a lot of vegetarian food of late. It was one of my new years’ resolution. 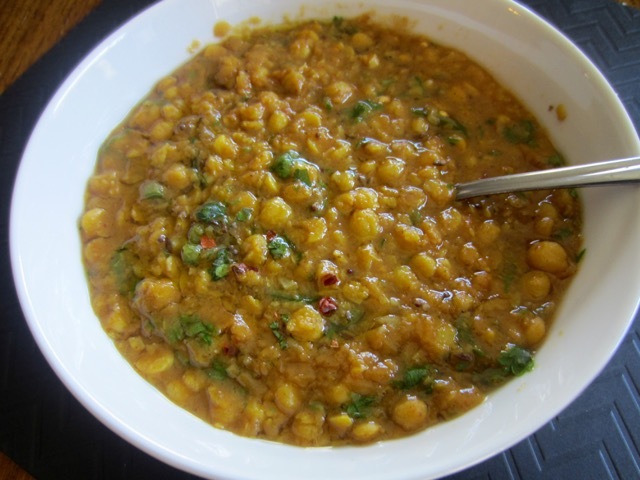 Chana dal (Split-Chickpea) is easy to make and is also very nutritious. I wish you a very happy Sunday. 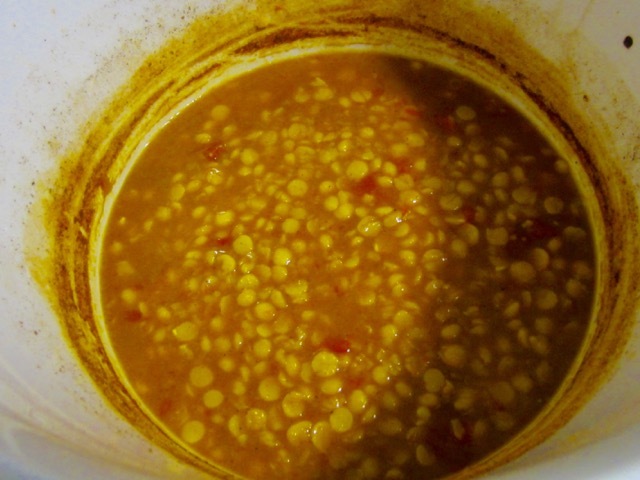 Here is what chana dal looks like before it’s soaked. 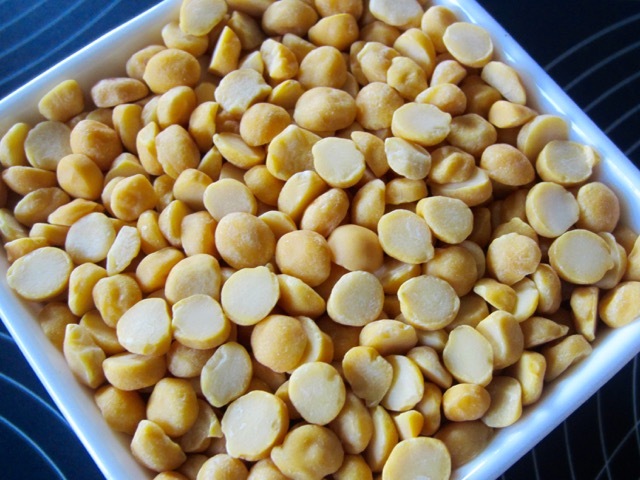 It’s also called Split Desi-Chickpea. and add the 3 cups water. Bring the water to the boil and simmer 25-30 minutes or until dal is cooked to your liking. 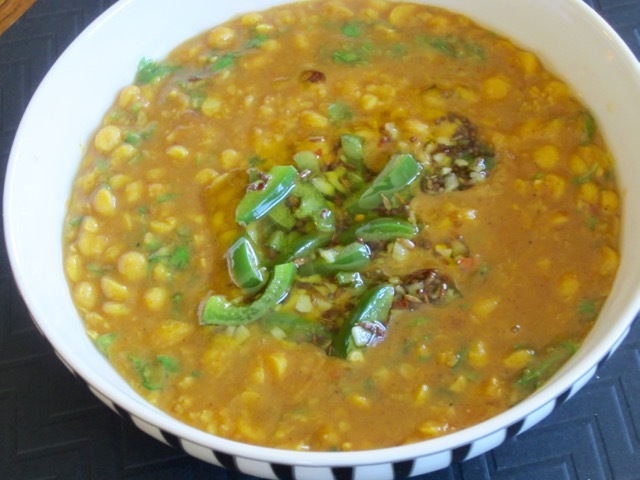 Adjust the thickness (by adding more water if too thick) and keep the dal hot. 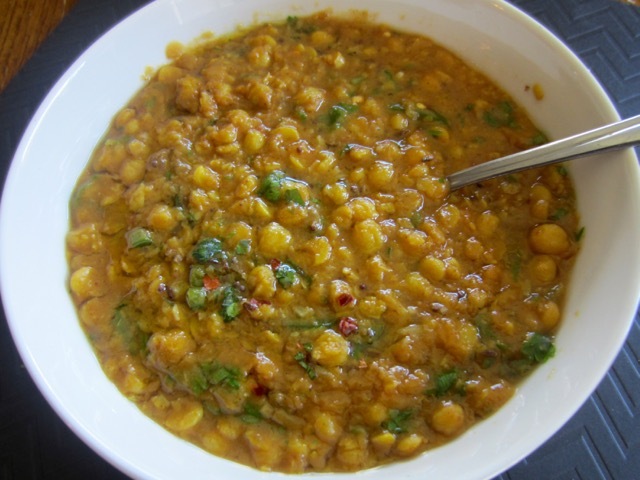 To temper the dal: heat the ghee or vegetable oil in a small pot over medium heat and add the cumin and mustard seeds. As soon as they begin sputtering reduce the heat and add the asafoetida, garlic and chillies. Cook until garlic is light brown. 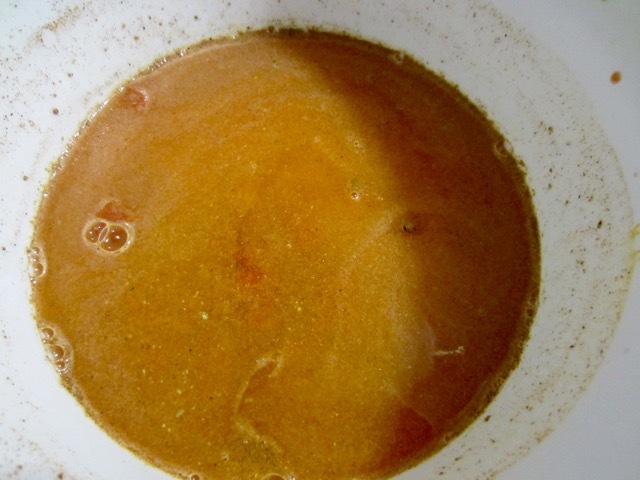 Add the prepared seasoning to the boiled dal and stir to mix. 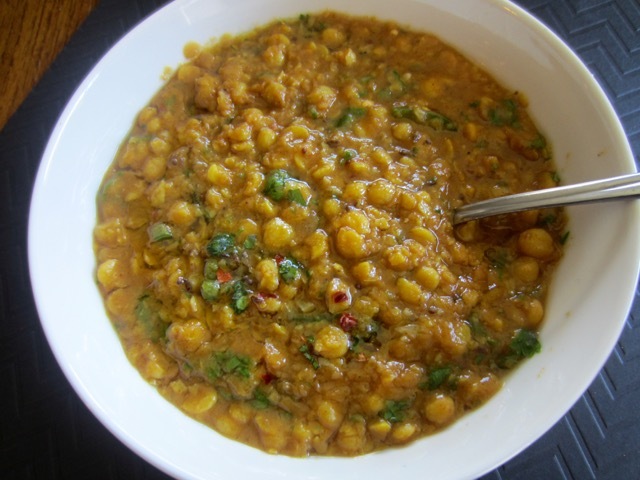 Add lemon juice and cilantro and serve chana dal with rice or chapati or naan. Here is the you-tube video for Original Recipe! 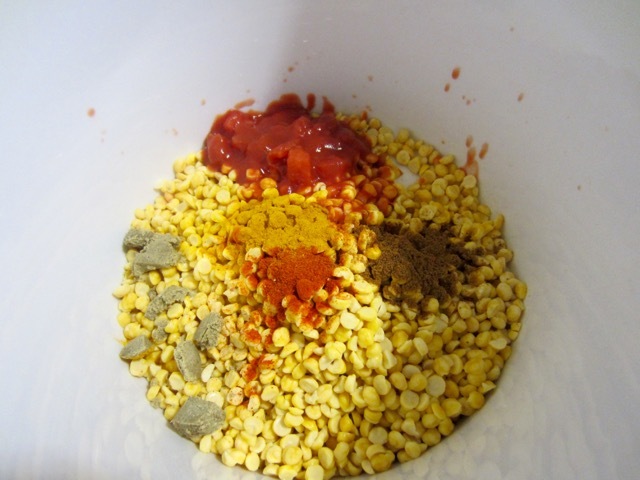 To cook the dal: Place all the dal ingredients in a deep pot or crock pot and add the 3 cups water. Bring the water to the boil and simmer 25-30 minutes or until dal is cooked to your liking. (the crock pot will take longer). Adjust the thickness and keep the dal hot. 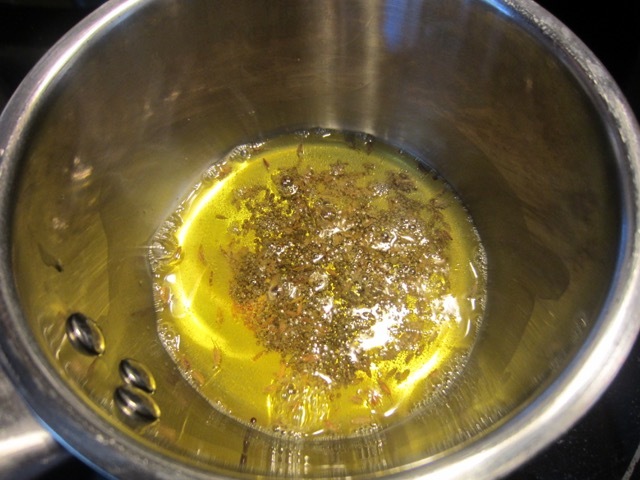 To temper the dal: heat the ghee or vegetable oil in a small pot over medium heat and add the cumin and mustard seeds. As soon as they begin sputtering reduce the heat and add the asafoetida, garlic and chillies. Cook until garlic is light brown. Prev What is Crème fraîche? Looks so beautiful & delicious. 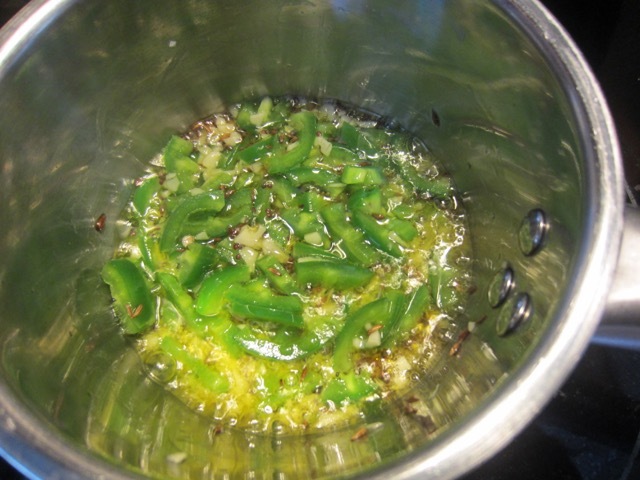 I like the idea of using green chilli pepper for tempering. It’s the only chilli I had on that day. I don’t eat a lot of chilli!